We're inviting you to explore the Architecture Expo at A'19, for free! The Architecture Expo is 200,000 sq. ft. of the hottest new products and materials by leading brands and building product manufacturers. There's also live programming, demos, galleries, happy hours, and workspaces. Visit us in booth #3222. 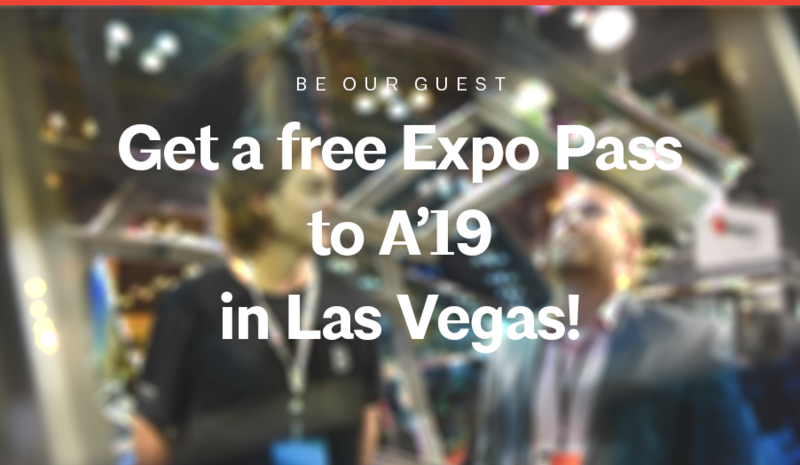 Get in with your free Expo Pass. Tap into the expertise of 750+ of the industry's best brands, right on the expo floor! Your free Expo Pass is valid for access to exhibitors and the expo floor only.